Chicago and Wisconsin’s Jungle Rot was formed by Dave Matrise in 1994. Two demos (Rip Off Your Face and Skin The Living) later, the band played shows with Anthrax, The Misfits, Cannibal Corpse and others and obtained a deal with Pavement Music. SOD Records also issued an EP called Darkness Foretold in 1998. Slaughter The Weak was re-issued by Pavement following the bankruptcy of Pulverizer Records. The band split from Pavement in early 2000 and migrated to Olympic Recordings. When Century Media purchased that label, the band returned to Pavement by signing to Crash Music. With James Genez, formerly of Fleshgrind back in the band, Jungle Rot entered the studio in the winter of 2006 in order to record War Zone. The band also featured drummer Eric House and bassist Jerry Sturino. The band was dropped by Crash in 2007 and was subsequently recording a demo. Jungle Rot was one of the bands billed to open for Massacre in Europe in that autumn. The gang surprisingly signed with Austria's Napalm Records as of October of 2008. The band was entering Studio One with engineer Chris Djuricic in order to record its new album, What Horrors Await. Jungle Rot lost drummer Eric House in the summer of 2010 due to a personal crisis. He would later show up in Morta Skuld. The band was working with Tony Ochoa (Sindrome and SpeedKill/Hate) as it toured the US. 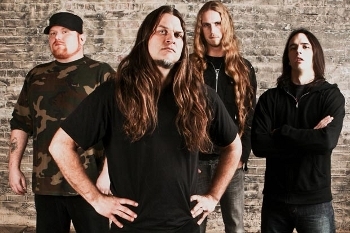 Immolation announced a second headlining trek in support of its Majesty And Decay album for late 2011. Support on the October tour would come from Jungle Rot and Gigan. Deicide was slated to participate in a North American headlining tour called March Of Death 2012 in March 2012. Support would come from Jungle Rot, Abigail Williams and Lecherous Nocturne. The band went from March Of Death to Carnival Of Death. The band was touring and opening for Obituary’s Carnival Of Death 2012 tour alongside Encrust, Broken Hope and more. Jungle Rot would release its next full-length album, 2015’s Order Shall Prevail, on June 30rd through Victory. Max Cavalera could be heard on the album. Joey Muha was on drums. Then he was gone. Destruction, Warbringer and Jungle Rot were touring Canada and the USA in May and June 2017. Jungle Rot would issue a self-titled album through Victory Records in July 2018. The band’s mascot is one Sergeant Rot. Except for its drummer this northern Illinois bands looks the part. Similarly, the quartet bashes heads in with a well-produced, bottom-heavy death metal which keeps its speed in check, but does not hold back in the 'crunch' department. Unfortunately for us, and the band, the rotting ones fail to present anything particularly new and come across like Chris Barnes' adopted sons. Failing the originality test, seekers of infectious and butchering death metal in this world of hate should try Jungle Rot on for size. - Ali "The Metallian"
Half a dozen label changes, member list alterations and three trend changes later Jungle Rot is still playing 'last death metal band standing' as evidenced by its latest straight forward, colour green-fixated and no frills death metal attack. Drawing clear inspiration from their heroes Cannibal Horse or whatever their name is, the US combo pulls a little from the likes of Cianide and Broken Hope as well and delivers a heads down, mid-paced album that is certified 100% death metal. No blast beats, no solos, no screams, nothing fancy whatsoever; this is as pure as Kirk's love for Lars (and vice versa). The new album has turned out to be surprisingly catchy and enjoyable. - Ali "The Metallian"
Jungle Rot is back with a new album which, once again, is not about to disappoint the death metal fan. This is bread and butter death metal. The voice of singer Dave Matrise is reminiscent of Cannibal Corpse's Corpsegrinder, the music is a cross between Cianide and Broken Hope and the lyrics, well some song titles are Gasping For Air, Low Life (featuring cool lyrics), Scars Of The Suffering and Symbols Of Hate. The guitar sound is rather flat though and Eric House is content to follow the rest of the band on drums which makes Fueled By Hate a no-frills album, but the album gets the job done overall. - Ali "The Metallian"
Darkness Foretold is an example of a release that has no legitimate reason to exist in the first place, much less be re-issued. Originally issued by SOD magazine some seven years ago, Crash Music now has given the EP another lease on life presumably to give Jungle Rot some publicity whilst the death metal unit comes up with something new later this year. Unfortunately, nowhere in that statement is any reason for anyone to part with money for Darkness Foretold.